As the day that I will be working on the CanPac project for the Watercress Line approaches, it has given me a little time to reflect on the last steam locomotive to emerge from Eastleigh’s locomotive works after an overhaul. After spending many (if not all) of its’ preserved life on static display, the National Railway Museum’s Schools Class (V) 925 Cheltenham was transported from York to Eastleigh in 2010 to be brought back into running order. 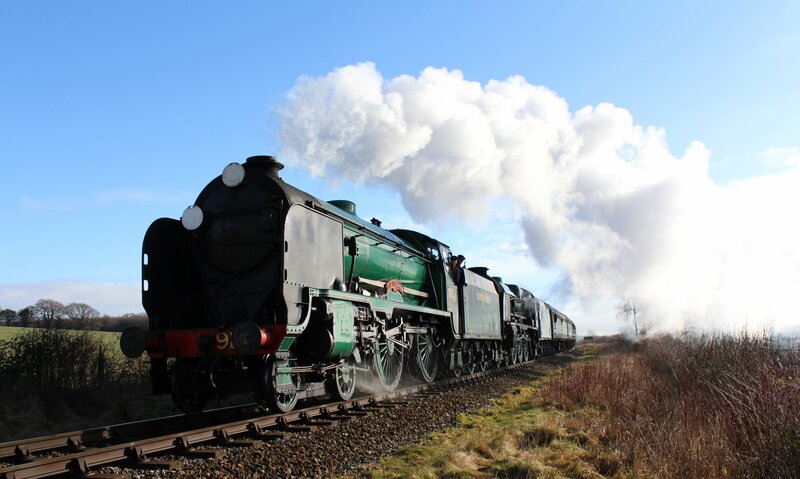 The overhaul was instigated by the NRM after the Mid Hants Railway demonstrated itself as being very capable of both bringing back into working order and looking after another of the collection’s stars; 850 Lord Nelson. Using Eastleigh, a place that used to be the heart of the south west railway network as the location of the overhaul, quite rightly turned many heads. The town of Eastleigh owes its existence to railways – if it wasn’t for the London and South Western Railway, Eastleigh would probably not be here today, which is quite a thought. However I think it is fair to say that the majority of the population of the town today have much less to do with the railway and works as it has become a much less significant employer. 925 Cheltenham is a significant part of Eastleigh’s legacy, being built there and leaving the works in 1934. 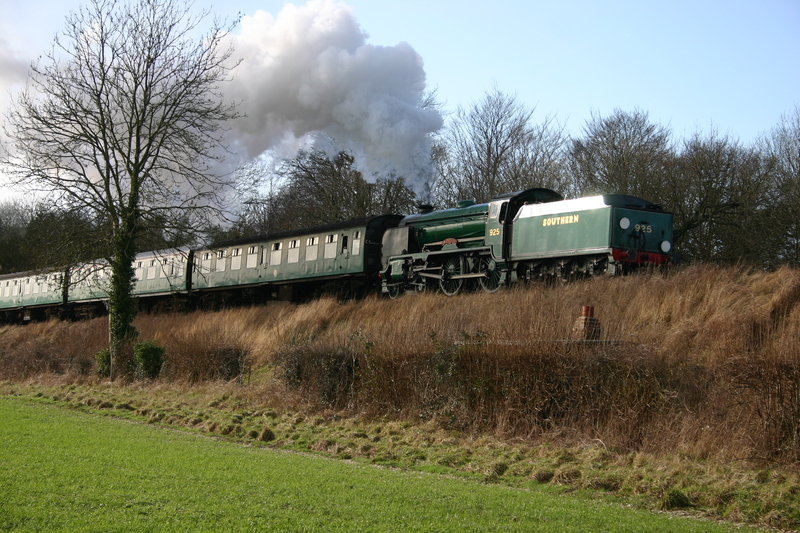 The overhaul of 925 started in 2010 and was successfully completed in 2012, allowing it to run at York’s Railfest that year, after which it joined the Watercress Line’s loco roster, where it has proven to be a useful machine. 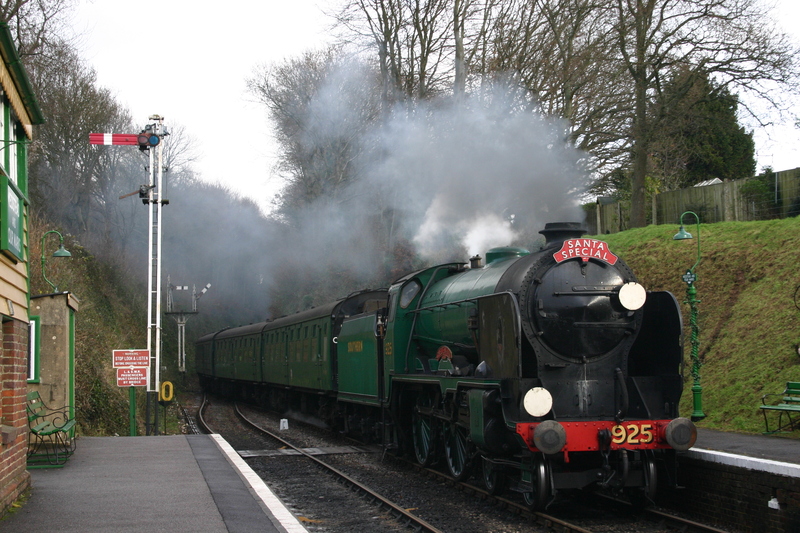 The overhaul was well publicised and featured in one of Michael Portillo’s Great Railway Journey programs on the BBC. It was funded by the National Lottery as likewise will much of the CanPac project. 35005 Canadian Pacific’s overhaul follows in the footsteps of the success of 925 Cheltenham. 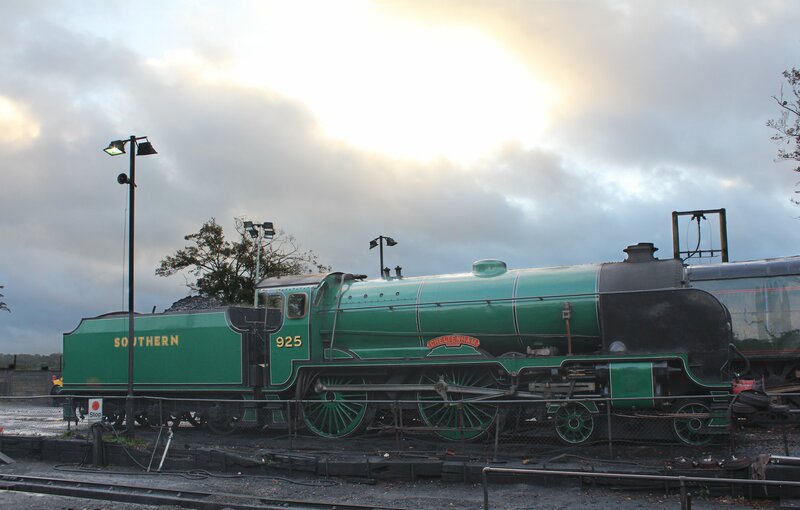 Likewise, 35005 was built in the town and the linked project will be looking to outreach even further into the local community, so that the people of Eastleigh can take pride in its engineering legacy and fundamentally to ensure that the skills and interest is passed down to younger generations. For me, this is something that is so very important. I remember my time at school as being almost purely academic, despite being in country that I would argue has the greatest industrial heritage. 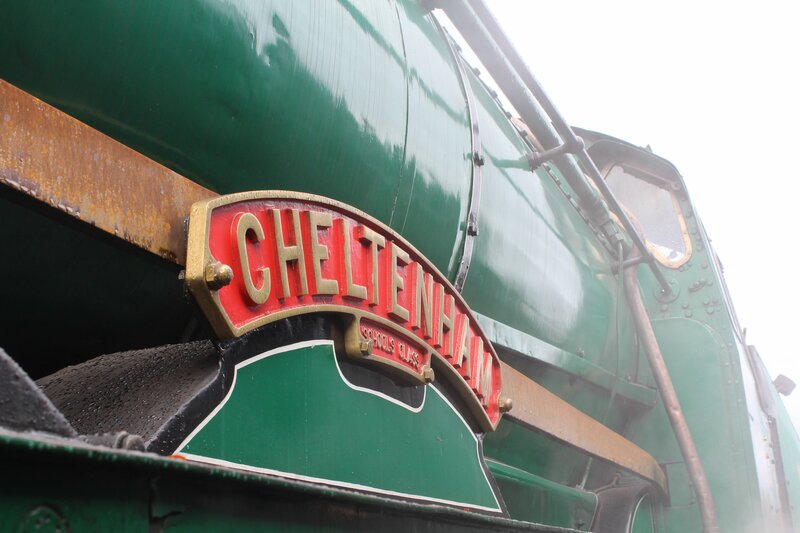 It’s so important that skills are passed on and that the passion behind heritage railways remains, as we look to a future of even more distractions than we have already. We still have to raise another £605,000 for the £1.5million CanPac project. 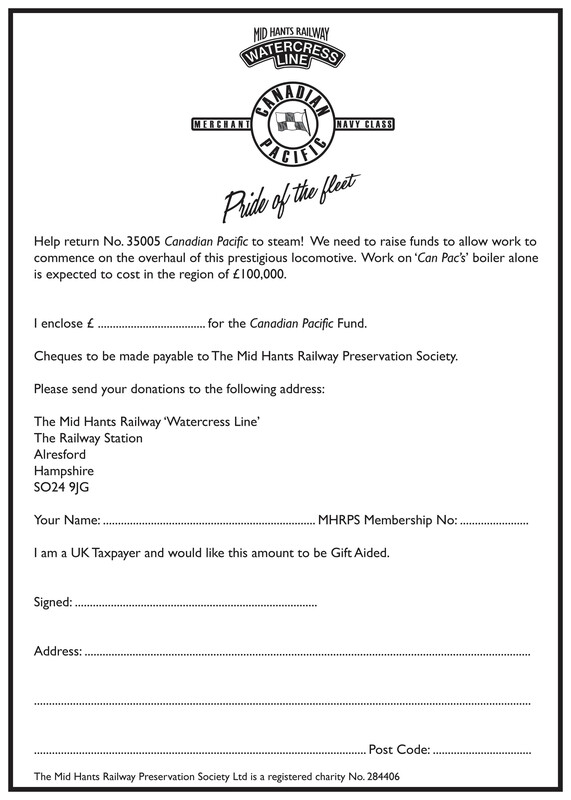 The project will see not just the overhaul of 35005 Canadian Pacific but also 2 wooden Bulleid coaches. The boiler work alone is expected to exceed £100,000; so anything you can give will be gratefully appreciated, no matter how small you think it might be.